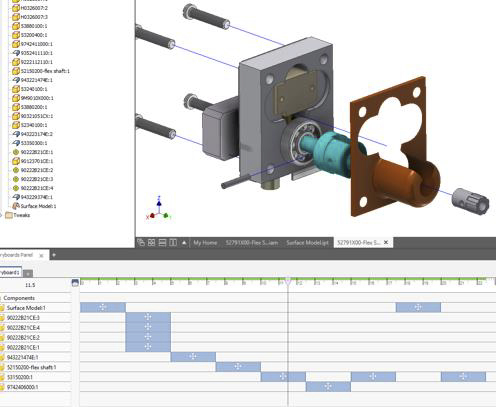 Inventor 2018 is built for the continually evolving needs of the modern design and engineering professional. Building on its breadth of modeling capabilities and powerful design automation tools, Inventor 2018 marks the next step forward in professional-grade 3D mechanical engineering design. Interoperability enhancements enable distributed, multi-disciplinary teams to work together more efficiently with data from a variety of sources. The overall user experience is enhanced for more productivity and flexibility in response to direct feedback from customers around the world. These efforts let you design, engineer and collaborate faster and more effectively than ever before. Inventor 2018 delivers new capabilities for mechanical engineers who work with a variety of design data. You can continue to use imported mesh data in your designs, and also leverage STL or OBJ files in your Inventor 2D drawings. Surface data can be combined with your other 3D data in the Presentation environment for animations, exploded views, and documentation. 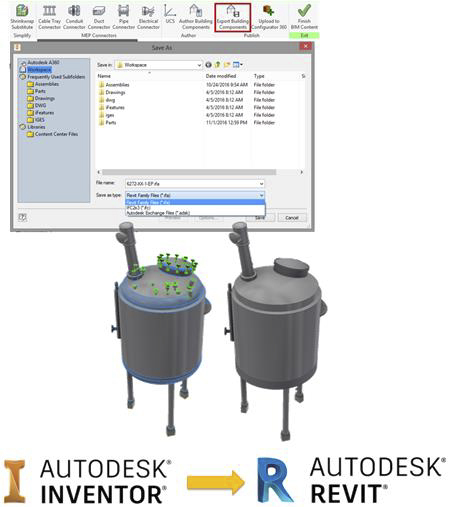 In addition to outside data, Inventor 2018 helps you work with other Autodesk file formats. BIM Content workflows allow for direct publishing of Revit (.rfa) files. DWG Underlay has been improved to streamline workflows when integrating your 2D data inside of 3D designs. AnyCAD has been enhanced to allow Inventor 2018 to be backwards compatible with Inventor 2017. Support for displaying and documenting mesh objects is added to drawing views. Mesh objects participate in all view types and can be dimensioned and annotated. With Inventor 2018, AnyCAD has been expanded to allow you to leverage Inventor 2018 files in your Inventor 2017 designs. This means you can now work with others who are on versions of Inventor that are earlier or later than the version you are working in. 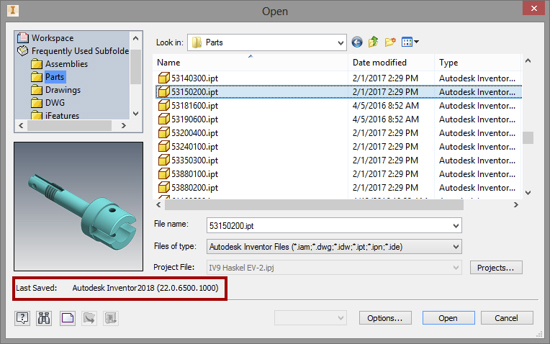 To help you identify the version of an Inventor file, the Open dialog now displays Inventor version a file was last saved in. Starting with Inventor 2017, you can reference future (newer) versions of Inventor part and assembly files in an earlier version of Inventor. For example, you can now reference an Inventor 2018 part file in Inventor 2017. Inventor 2018 continues to enhance your core AnyCAD workflows by more robust support of new features you add to non-native Inventor files. After the source file is updated, your Inventor based features will be preserved. New DWG Underlay features make working with D WGs faster. Import your DWG file directly into an assembly using the Place Components command. Select multiple DWG Files when creating more than one underlay. 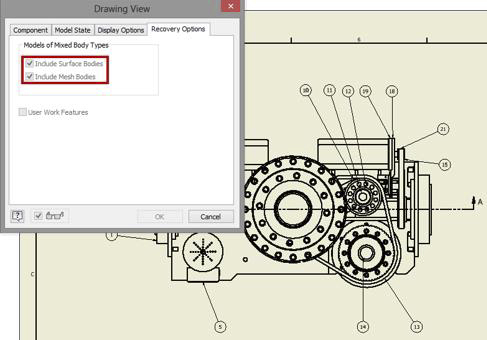 Open an AutoCAD DWG file directly from the right-click context menu in your part or assembly model browser node in Inventor. Automatically project certain types of DWG geometry when you enable the new Application Options > Sketch > Autoproject edges during curve creation option. If the selected DWG Underlay geometry is within the XY, YZ, or XZ plane, the resulting joint is created on the same plane as the sketch in the same way a joint is created between 2D Inventor geometry. Create a joint on the same plane as the sketch in the same way a joint is created between 2D Inventor geometry: If the selected DWG Underlay geometry is within the XY, YZ, or XZ plane, the resulting joint is created on the same plane as the sketch. Added in 2017R2: Multiple edit actions have been added to the timeline to allow for Group, All Before, All After selections. You can also create a new Presentation file directly from the browser of an open assembly.